Pavlin Petrov is a distinctive artist, whose works are clearly recognizable because of the specific and the unique style of their creation. 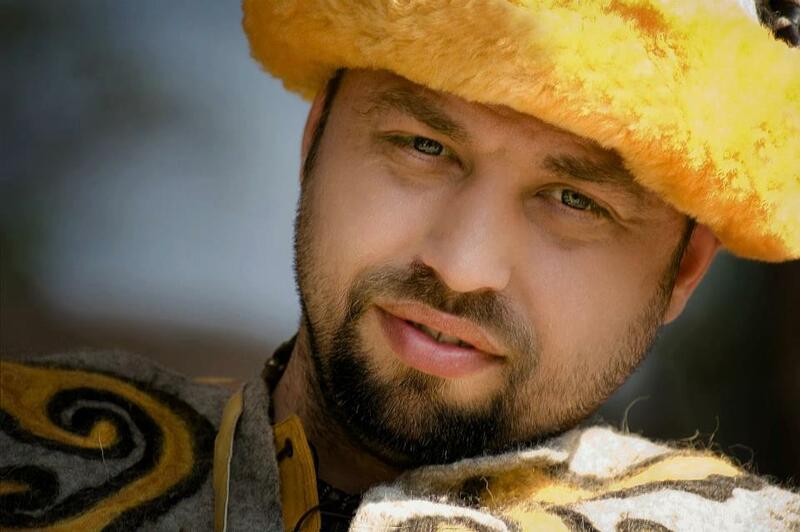 Pavlin was born in Rousse in 1976, but by coincidence he had lived in Plachkovtsi, Tryavna, Gabrovo. He studied applied arts and in this way he had builded in him inside a sense of beauty and value. After leaving school the artist in him remained in the background, because Pavlin was occupied with more pragmatic pursuits. However his love for all native and for the art had prevailed. 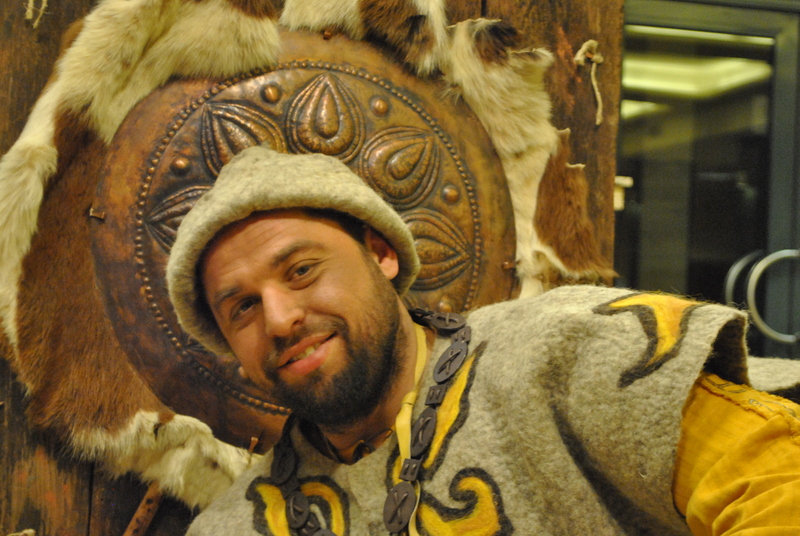 In 2008 Pavlin had created his first art cycle titled “A Glagolitic Alphabet and Proto – Bulgarian Runes” which over time became an individual traveling exhibition. 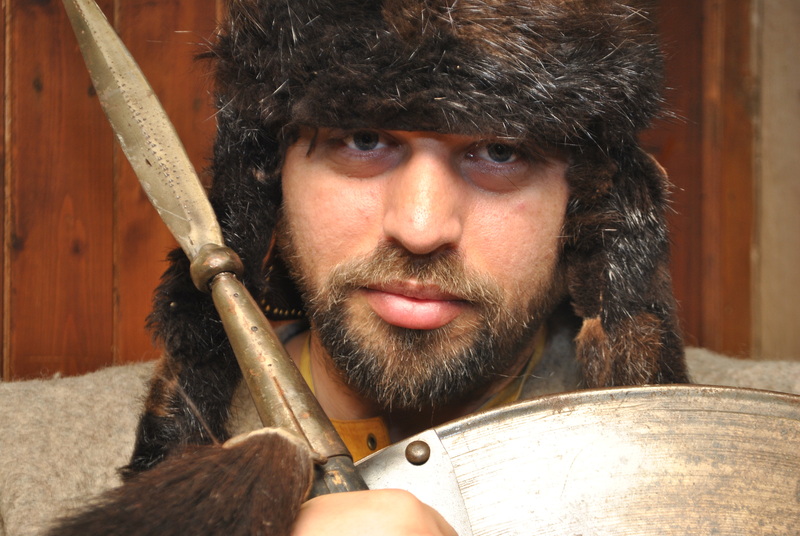 In his works he had re – created the Proto – Bulgarian Runes and some Glagolitic letters, linked strongly with the history of Bulgaria. Through the transfusion and the interweaving of materials like textiles, metal, ceramics, leather and wood Pavlin makes them vivid and turns them into a beautiful, impressive and memorable story for the glory of one ancient nation. Along the time the exhibition “A Glagolitic Alphabet and Proto – Bulgarian Runes” became a sort of calling card for the artist Pavlin Petrov. The works included in the exhibition have been exposed in many iconic places for the art and the culture around the country and abroad like museums, representative halls and so on. During the openings of the exhibition Pavlin is prejudging himself as a Proto – Bulgarian Khan and somehow naturally fits the era that his works evoke. In that way he impresses and leaves the unforgettable memories for all the guests of those whimsical holidays of the ancient spirit. The interest in the exhibition grows more and more with its every new performance and the invitations for presentation are great as a number. 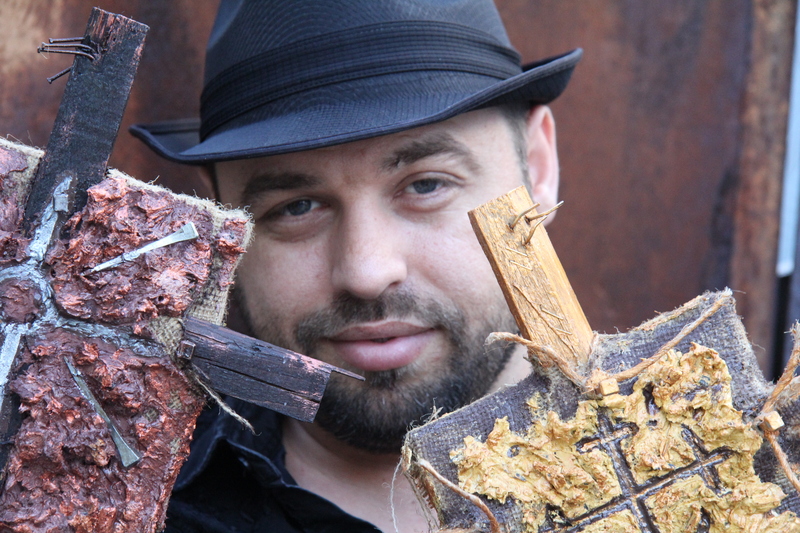 Pavlin Petrov is the only artist in Bulgaria with two individual traveling exhibitions. The second one – “A Glagolitic Alphabet” is the only individual exhibition from the collections of the Ministry of Foreign Affairs of the Bulgarian Republic, which travels around the world as an ambassador of the Bulgarian spirit. In creative plan in the end of 2013 Pavlin had completed work on his art cycle “Code 333 Concentration”. The cycle is composed entirely of miniatures, presenting signs from different parts of the world and different eras, but here the author remains true to his unique style of creation. Pavlin is working currently on his newest art cycle “CIRCLES” in which in a memorable and interesting way he transforms the multi-layered meanings of the geometric figure. Pavlin is the first President and co – founder of the Association for Arts and Crafts Development. He is the President and one of the founders of the International Association for Bulgarian Art Around the World. Pavlin is the manager of the international magazine for visual arts “Art Manager 7”. The artist works closely with his art manager – the journalist Daniela Kapincheva. She organizes his exhibitions, media appearances and public performances, preparing articles and annotations of the art works. 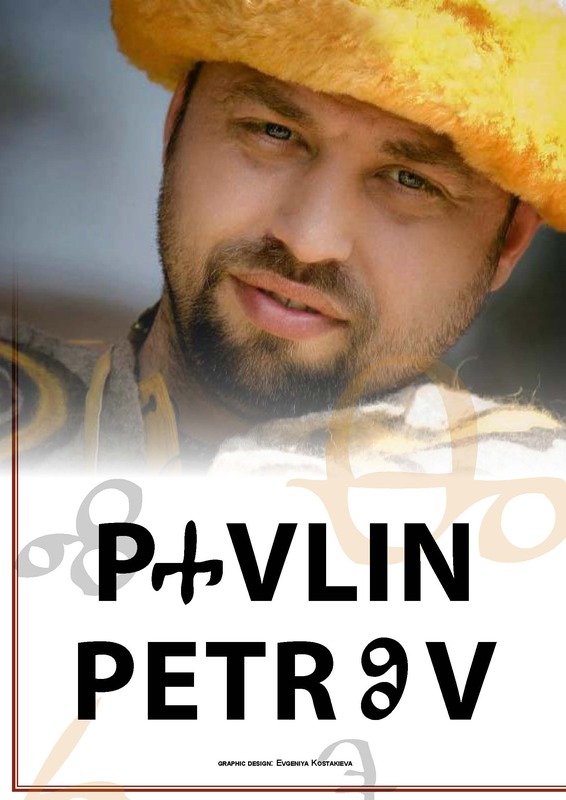 The team presents Pavlin’s paintings with videos and even they have their own channel on YouTube / ArtPetrov7BG / on which fans of the artist may find an echo from each event and the opening of an exhibition, related to him. Strongly positive the works of the artist Pavlin Petrov are filled with a special, mystical power that has the ability to enjoy, to purify and ennoble the almost imperceptible to others, but noticeable to the owners of this works, because in every piece of his art Pavlin engraves a part of himself, inhaling it life and light.